For many cinephiles Hong Kong remains synonymous with the kind of wild and woolly action typical of the movies that first broke through in the West in the late 1980s and early 1990s: the kung fu of Jackie Chan and Jet Li, the outrageously choreographed shootouts of John Woo and the wuxia (or period martial arts) films featuring physics-defying “wirework” characteristic of director Tsui Hark and choreographers Ching Siu-Tung and Yuen Wo-Ping. But Hong Kong cinema has always had much more to offer, as the list of titles below (including comedies, musicals, melodramas and unclassifiable art films) should make clear. In the early 1990s Hong Kong could boast of having the third most prolific movie industry in the world (after only Hollywood and Bollywood), an astonishing statistic given the then-British colony’s small size. In 1994 alone over 400 locally made films were released in Hong Kong theaters. In recent years that number has sadly dwindled to a couple dozen features released annually due to a downturn in the economy, rampant piracy and the migration of talent to Hollywood and elsewhere. Nonetheless, the rich, glorious past of Hong Kong’s film industry, fully justified in being called “the Hollywood of the East,” is well worth exploring in depth. One can only hope that it will someday rise again. The Shaw Brothers Studio was the most significant movie studio in the history of Hong Kong, ushering in the territory’s first golden age in the late 1950s. 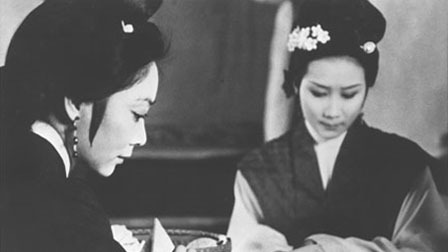 One of the quintessential films of this era is Li Han-Hsiang’s The Kingdom and the Beauty, a handsomely mounted musical/historical drama about a young Emperor (Zhao Lei) during the Ming Dynasty who goes AWOL and falls in love with commoner Li Feng (Linda Lin Dai), the “beauty” of the title. A great example of Hong Kong’s “yellow plum opera” genre as well as a terrific showcase for Lin Dai, an icon of style and beauty who committed suicide at the height of her fame – and thus sealed her legend as the Chinese Marilyn Monroe. Remade as Chinese Odyssey 2002. 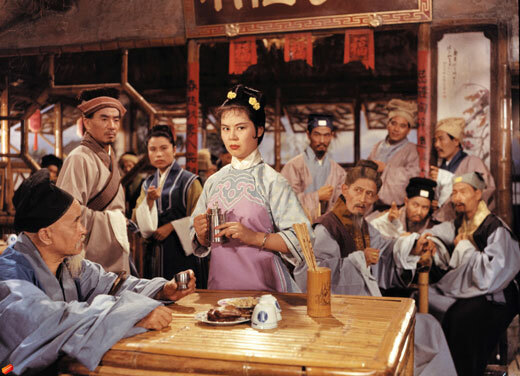 In the 1950s and 1960s Hong Kong enjoyed a prolific, star-studded golden age in which films were made according to an assembly line style of production similar to Hollywood’s studio system of the 1930s-1950s. The chief rival of the Shaw Brothers Studio (the MGM of Hong Kong) was the MP&GI Studio (later Cathay) who were known less for lavish sets and costumes than for documentary-style location shooting. The Wild, Wild Rose is an MP&GI masterpiece directed by the formidable Wong Tin-Lam (father of the future hack director Wong Jing) that transposes Bizet’s opera Carmen to the noirish setting of Hong Kong’s Wanchai district. A fantastic vehicle for the immortal Grace Chang, a musical star who usually played innocent ingenues but who burns up the screen here as the notorious man-eating nightclub singer Sijia. King Hu was arguably the greatest of all Chinese directors. 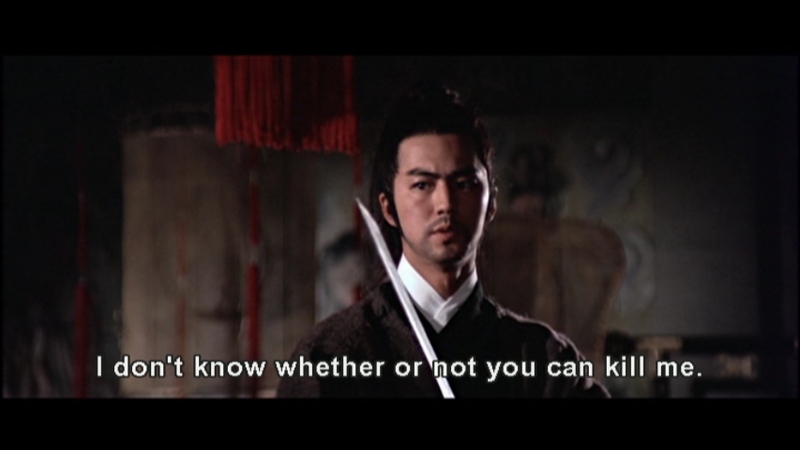 He got his start with the Shaw Brothers where he made the wuxia classic Come Drink with Me in 1966. Unfortunately, his slow, meticulous working methods caused him to run afoul of his superiors and most of his subsequent masterpieces were made in exile in Taiwan. Come Drink with Me is one of the most influential martial arts films of all time and a very unique one in that it centers on a female protagonist (Cheng Pei-Pei). This is just one of the many respects in which Crouching Tiger, Hidden Dragon (where Cheng was cast as the villainous Jade Fox) pays homage to Hu. Cecille Tang’s masterpiece is often cited as Hong Kong’s first “art film” and indeed in terms of style this ascetic Ming dynasty period piece often feels like the Chinese equivalent of Andrei Rublev. 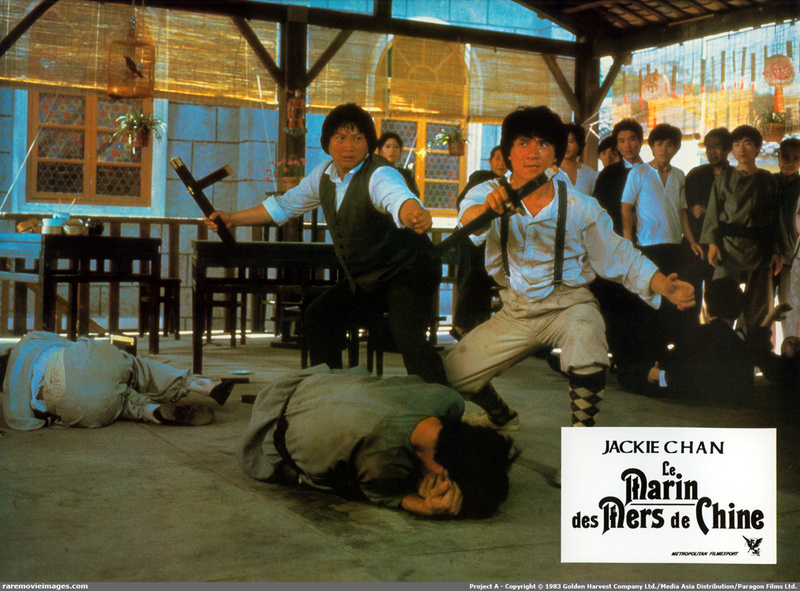 Madame Tung (Lisa Lu) is a schoolteacher and widow asked by the government to provide room and board to cavalry Captain Yang (Roy Chiao) who arrives in her small farming village to protect the harvest from bandits. Both Madame Tung and her adolescent daughter develop feelings for the Captain during his stay in a quietly devastating romantic tragedy marked by minimalistic dialogue and haunting, austere black and white cinematography courtesy of Satyajit Ray’s regular director of photography Subrata Mitra. Hong Kong’s most important martial arts director in the wake of King Hu’s departure was Chang Cheh; he directed both Golden Swallow (the sequel to Come Drink with Me) as well as the massively influential One Armed Swordsman starring Jimmy Wang-Yu. My own favorite Chang movie is Have Sword Will Travel from 1969, featuring the popular duo of David Chiang and Ti Lung. The plot concerns a love triangle between three people whose job is to transport a large shipment of Imperial silver but it’s the action set pieces and dreamy, expressionistic cinematography, which achieves an almost abstract purity in its focus on form and color, that prove to be the real stars of the show. 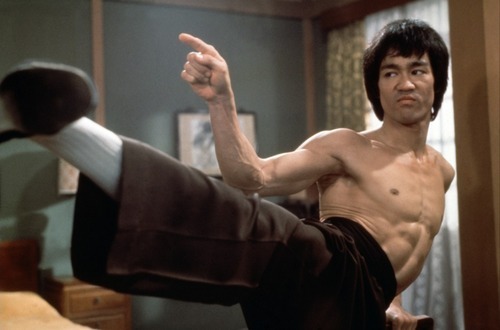 Bruce Lee was a genius martial artist and a charismatic actor. Unfortunately, in his short career he never quite found the proper movie vehicle to match his talents. Fist of Fury is the film that probably comes the closest with Lee playing Chen, a Chinese martial arts student trying to avenge the death of his teacher at the hands of Japanese oppressors. Worth seeing for a number of iconic scenes such as Chen smashing a “No dogs or Chinese” sign, the first appearance of Chen’s nunchaku and the climactic fight between Chen and Petrov (Lee’s real life bodyguard Robert Baker). Most of the films produced in Hong Kong prior to The Private Eyes were spoken in Mandarin, the predominant dialect of mainland China, even though the majority of the population of Hong Kong speaks Cantonese. This changed almost overnight with the phenomenal success of writer/director Michael Hui’s hysterical, Cantonese “nonsense comedy” about a low-rent detective agency staffed by Hui and his real-life younger brothers Sam and Ricky. Like all Hui brothers comedies, this is characterized by Groucho Marx-style wordplay that is probably best appreciated by Cantonese speakers; however, there is also a healthy dose of physical comedy – Michael Hui brandishing sausage link nunchaku is funny in any language. The 36th Chamber of Shaolin is The Searchers of kung fu movies – the absolute pinnacle of the genre, often imitated but never equaled. The plot tells the fictional story of how Shaolin martial arts spread beyond the Buddhist temples in 17th century China as the native Han learned to fight against their Manchu oppressors. Starring the charismatic Gordon Liu and directed by his brother, the legendary choreographer Lau Kar-Leung, this film focuses almost exclusively on training sequences rather than fights, which contributes mightily to the uplifting theme of self-empowerment. Essential viewing whether you are a martial arts fan or not. Jackie Chan is to martial arts what Buster Keaton was to physical comedy; both pioneered a way to combine their respective genres with jaw-dropping and death defying stunts in order to bring the world first rate entertainment. This stuntman-as-auteur style looks increasingly impressive from our 21st century CGI-laden vantage point; dangerous stunts have become obsolete simply because they’re no longer necessary from a technological point of view. However, something has been lost in the process – audience excitement over knowing they are seeing something done “for real.” Having said all that, I’m not the world’s biggest Jackie Chan fan. As much as I love his insane stunt work, I find his outrageous facial mugging and frequent indulgence in low comedy to be annoying. But these aspects are more subdued in Project A, an exhilarating action-filled comedy with Chan as a Chinese coast guard officer fighting pirates at the turn of the 20th century. The clock tower climax, an homage to Harold Lloyd in Safety Last!, is nearly as impressive as in the original.